The world is a boiling pot. In Turkey, Brazil and Egypt there are continued demonstrations despite the extreme police violence used to deter protesters. In Greece, anger is simmering beneath the relatively quiet surface. If there was any doubt of this, the Greek justice system backing down in the face of the imminent death of hunger striker Kostas Sakkas should convince even the most skeptical observer that the Greek government fears a similar uprising. Do not think for a moment that the judges somehow realised their “mistake”, because they knew full well that they were breaking the law when they last extended Sakkas’ incarceration for another six months. 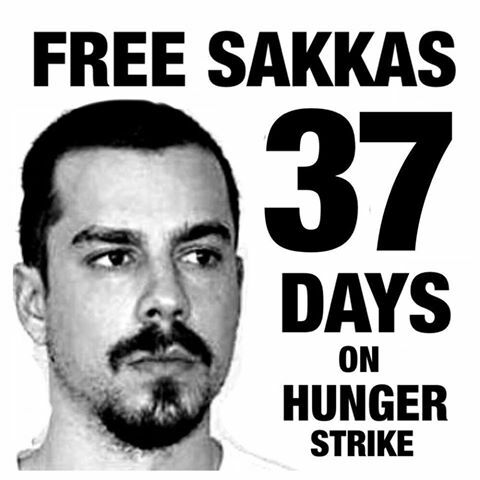 If Sakkas, unlawfully imprisoned for 31 months without being convicted, were to die, the backlash would be completely unpredictable. There are people in Greece from every corner of the political spectrum (except the extreme right, of course) who recognize that this case was never a matter of a single anarchist’s prosecution, but a violation of justice, one more link in a long chain of such violations in modern Greece. The decision to defy death in the struggle to defend one’s rights and freedoms is the ultimate form of courage. Even more so when the one making the stand is just an adolescent girl. A girl making a stand against an entire society’s cultural perceptions. 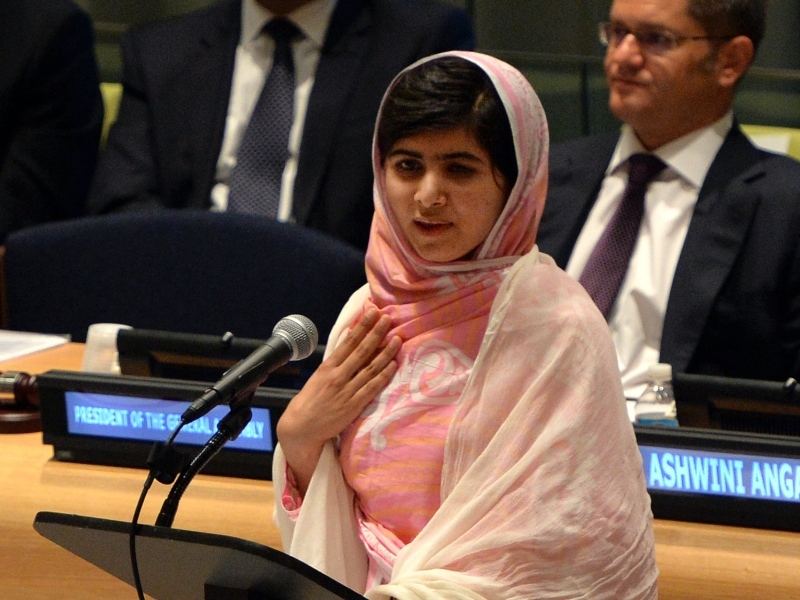 Malala Yousafzai became a public figure before even the fateful event that almost cost her her life. In the tender age of 11 she was already blogging under a pseudonym on behalf of the BBC about life under the encroaching shadow of the Taliban. She later actively campaigned for the right of women to receive an education and was honoured by the government of Pakistan and the international community for her efforts, becoming the youngest ever nominee for the Nobel Peace Prize. Last October she was shot in the head and neck in a targeted assassination attempt against her in a school bus full of children. Yesterday, fully recovered, she delivered a moving speech before the United Nations Youth Assembly. On the day of her 16th birthday, wearing a shawl once worn by the murdered Pakistani politician Benazir Bhutto, the first female leader of a Muslim state. It is difficult to imagine how a girl of 12 would even dare to openly speak out against oppression in a society which believes in the inferiority of women. It is even harder to fathom that she would find the strength to recover so fast after a near fatal assault, and yet speak of forgiveness. How can one so young find so much courage? There is another side to this story, of course. Malala is being used as a poster child by Western powers, spearheaded by Gordon Brown, to widen the growing rift between (developed) Christian and (developing) Muslim countries. She is being used to showcase how “evil Muslims” oppress women to justify and escalate the War on Terror. Ironically, at the same time the ineffectual austerity measures used to combat the economic crisis, measures which are supported by the majority of Western governments, often have education and healthcare as prime targets. Even worse the crisis, which shows no signs of improvement, fuels our own Western brand of extremism, in the form of racism and neo-nazism. 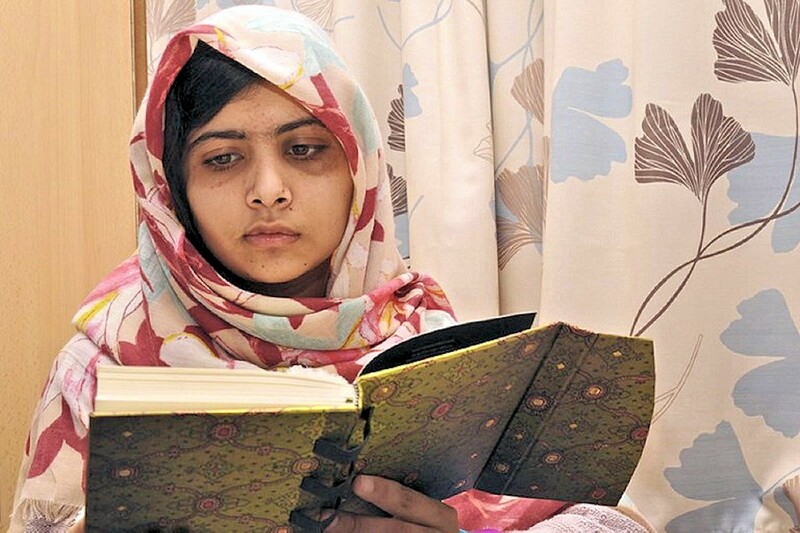 Yet Malala did not only speak of education; almost every mention of education was accompanied by the notion of peace. War and conflict are keeping children out of school. And the artificially perpetuated “War on Terror” is no exception. Malala spoke about Martin Luther King and Ghandhi, about non-violence, about togetherness and about forgiving even the Talib who shot her. The Taliban are not the only ones who fear educated people. Most governments are not much different. Our own, modern, democratic governments, would rather strip education of anything not useful to employment and thus limit our ability to question them. Most states would prefer obedient drones to thinking citizens. Programmed, rather than truly educated. There is much to be learned by the example of this teenage girl. The courage to stand up for one’s rights against fear and aggression, especially in a peaceful manner, cannot and should not be ignored. Even if greedy politicians would try to use her to justify their own agendas. But we do not need them. Not them, nor their wars.